Our hotel’s professional staff allows us to give you the undivided attention that you deserve. 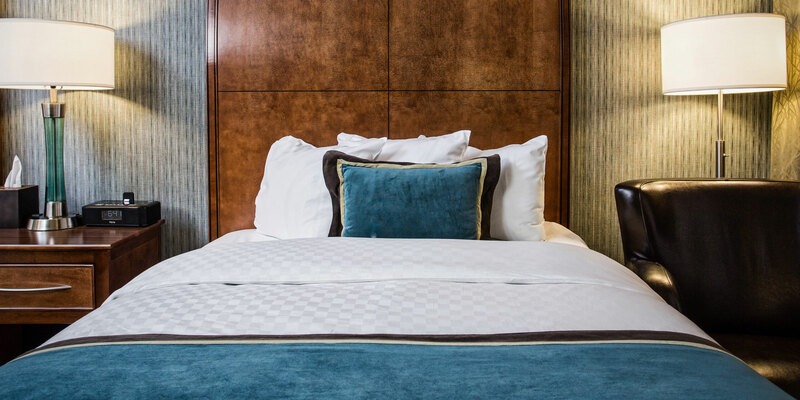 We pride ourselves on ensuring only the most comfortable and enjoyable stay for our hotel guests. 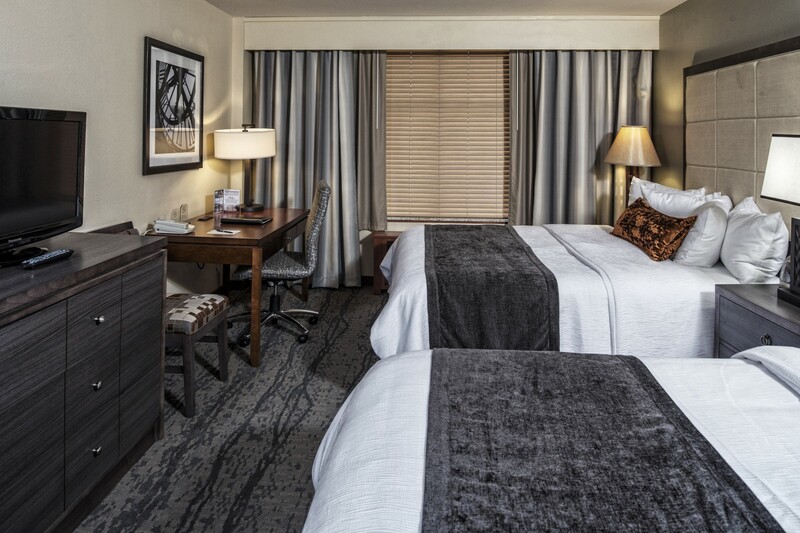 Our friendly staff will always try to accommodate special requests to personalize your stay in Appleton. A credit card or advance payment is needed to guarantee a reservation. Rates are subject to change and local taxes apply. Packages are based on availability. Packages are not valid with groups. Packages are not valid with other offers or discounts. Packages may not be available during special events such as Packers’ home games and EAA Air Venture. 48 Hour cancellation policy for all packages. Leave the details to us and enjoy the romantic indulgences. Relax in a luxurious suite, toast each other with chilled champagne and savor handmade chocolates. Then sleep in under the sheets and down comforter, and linger until your late check-out time. The perfect escape any time! Refresh, relax and renew! You’ll enjoy this rejuvenating package. Pamper yourself in the comfort of our luxurious guest rooms featuring a variety of amenities to make your romantic getaway special. Indulge with spa services at Spa BenMarNico’s. Share a bottle of wine and sample deluxe mixed nuts from Vande Walle’s. Then give each other extra-special attention with the soothing massage lotion included with this package. Your day has already been special, filled with laughter, tears, and special memories of friends and family. 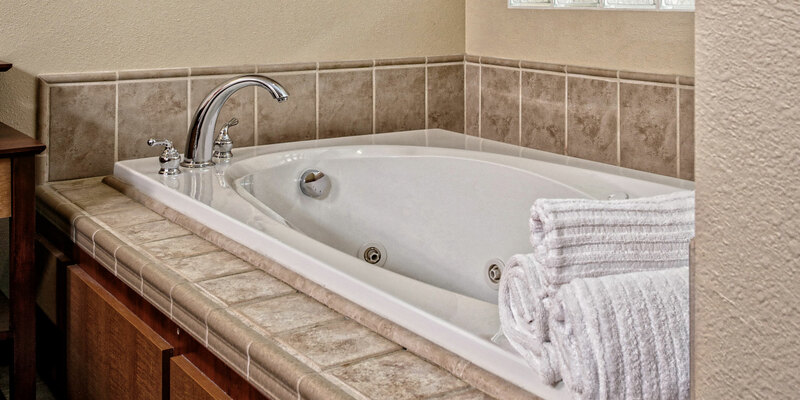 Relax and enjoy each other’s company with intimate ”alone” time in one of our whirlpool and fireplace suites. We’ll make it romantic with rose petals on your bed, and a bottle of wine or champagne to set the tone to the end of a special day. Celebrate the remembrance of your special day and your time together as a married couple. 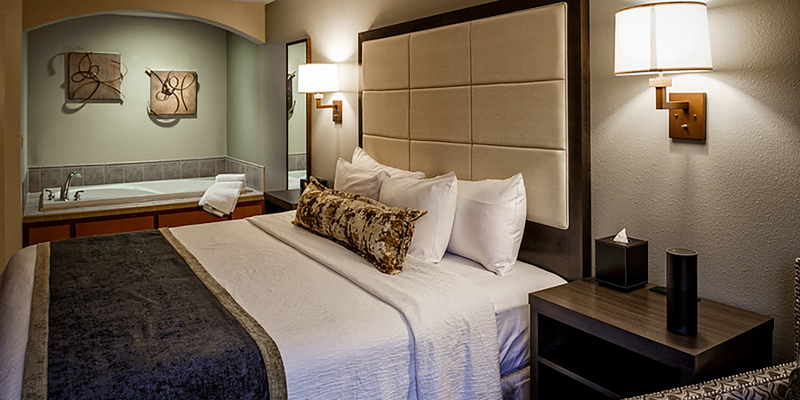 Whether it has been one year or 50 years, give your spouse that special recognition they deserve with a romantic and intimate getaway to the Copperleaf Hotel. Our team will make it easy for you. We’ll have a seasonal flower bouquet, wine or champagne, and a box of Vande Walle’s chocolates in your room upon arrival. Shop ‘til you drop within blocks of the hotel! Enjoy close access to over 60 boutiques and 30 restaurant/pub locations. Whether you want to shop or have a day at the spa before hitting the town, the possibilities are endless. Package includes a bottle of wine and a $20 mini bar credit. The Sip & Stay wine tasting package includes a relaxing overnight stay and two wine flights customized for your individual palate by owner David Oliver at Mondo! Wine Bar and your choice of a Gouda or Cheddar Snack Board. Package is available Tuesday – Sunday during Mondo! Wine Bar’s hours. Available Friday, Saturday and Sunday nights. Rates for this offer are based on our best available Room Rate for the dates chosen. This offer is subject to availability at the time of reservation. Offers are not valid with any other offer or contract and do not apply to groups. Rates do not include taxes. Rates are subject to change and some restrictions may apply.